Harold, the Earl of Wessex became king after the death of Edward the Confessor and had to go north to deal with an invasion from Harald Hardrada. 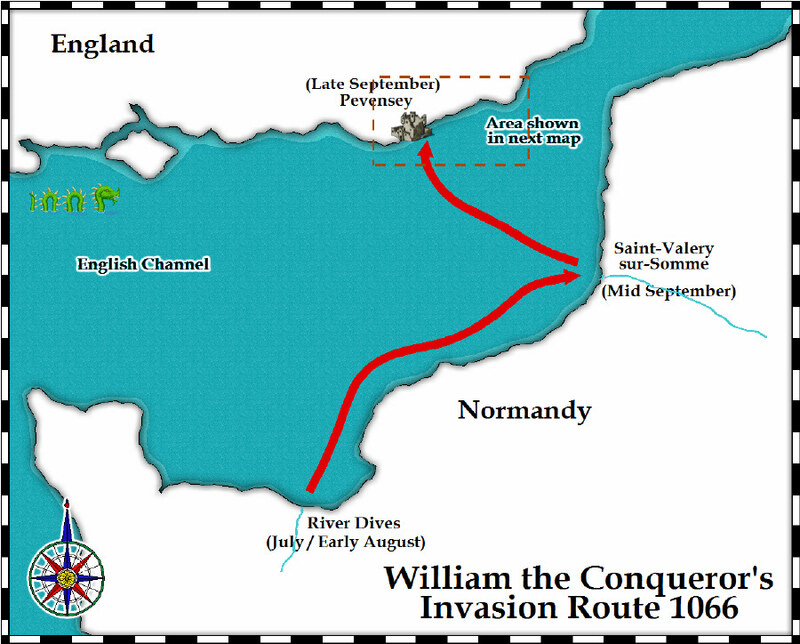 At about the same time that King Harold was dealing with the invasion in the north, William was preparing for his invasion in Normandy. William first gathered his fleet to ships and army on the banks of the River Dives in northen Normandy. Once all preparations were in place he moved them up the coast to wait for suitable weather conditions to cross the channel. 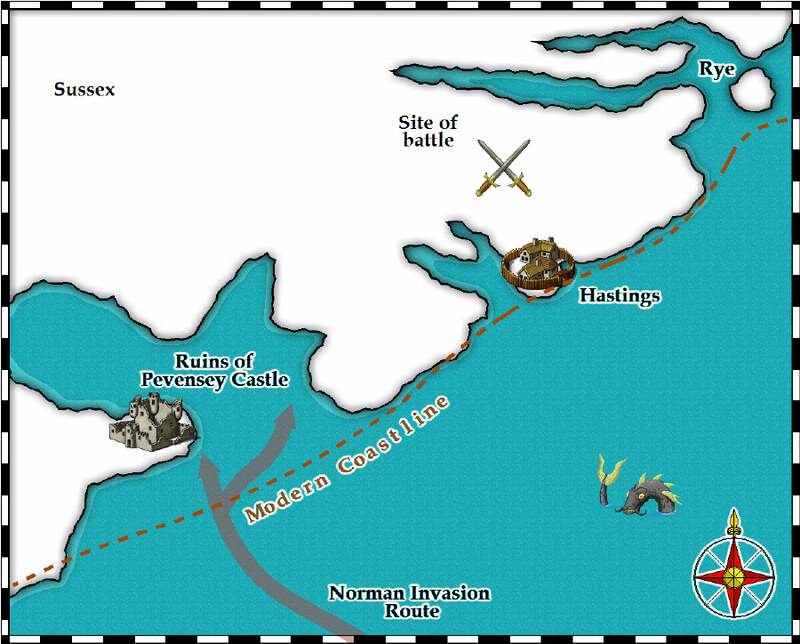 William's fleet landed in the area around Pevensey on the south coast of England on or around September 27th, 1066. The coastline around Pevensey and Hastings has changed dramatically since medieval times due to the silting up of estuaries in the area. The town of Rye used to be on an island before the sea retreated. The Normans found a ruined Roman fort at Pevensey and they used it as amn initial base camp. There is evidence in the Bayeaux Tapesty that the Normans brought with them wooden pre-fabricated castles that they could assemble whereever they were needed. They could have built one of these temporary castles within the ruins or Pevensey Castle. From here William moved his troops to Hastings where again the Normans built temporary defences. Hastings at the time was situated on a peninsula with estuaries on two sides. To the north was Telham Hill where William placed lookouts to warn of the English approach. On October 1st, 1066, King Harold heard news of William's arrival and immediately began the long journey south with his army. 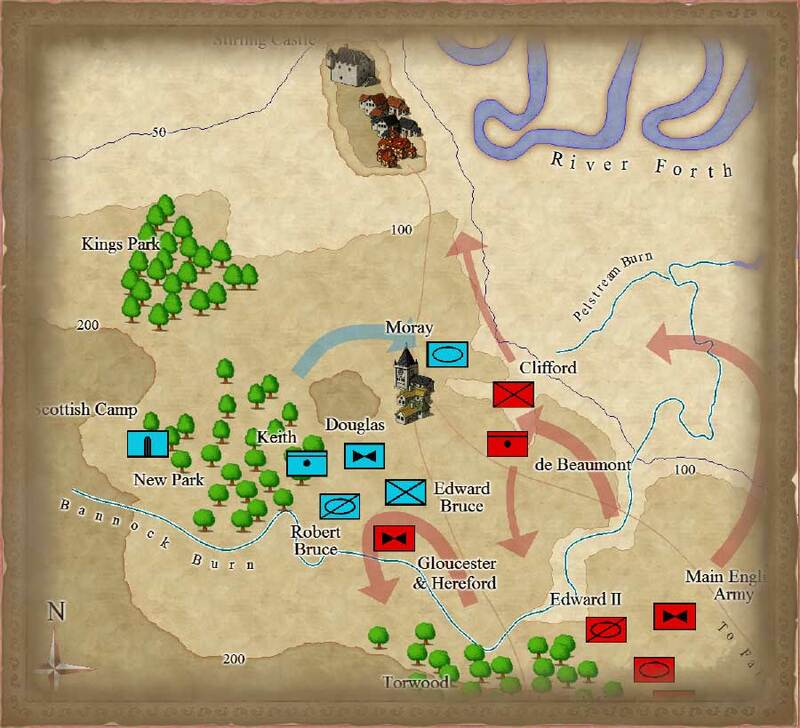 By October 6th Harold had reached London where his army rested. On October 11th Harold and his army left London to fight William. On the 13th of October Harold had reached Caldbec Hill near the road from Hastings to London. It was from Telham Hill that the English were sighted by the Normans on the 12th or 13th of October.